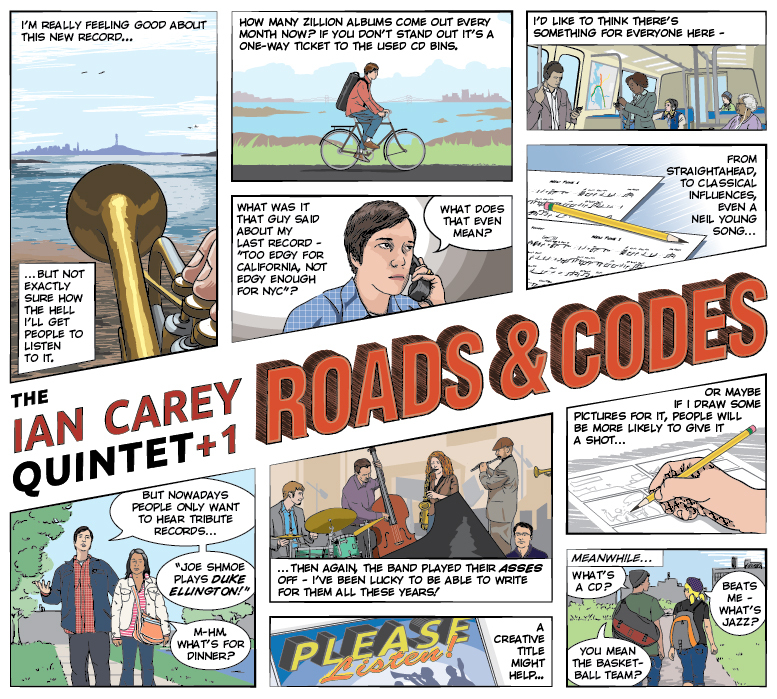 Ian Carey is a trumpeter, bandleader, composer…and visual artist. His new CD, Roads & Codes, is out today on the Kabocha label. It’s pretty solid post-bop stuff for the most part, but he’s definitely got an adventurous side; in addition to six of his own compositions, the album includes versions of Charles Ives‘ “West London,” Igor Stravinsky‘s “Andante,” and Neil Young‘s theme to Jim Jarmusch‘s movie Dead Man. 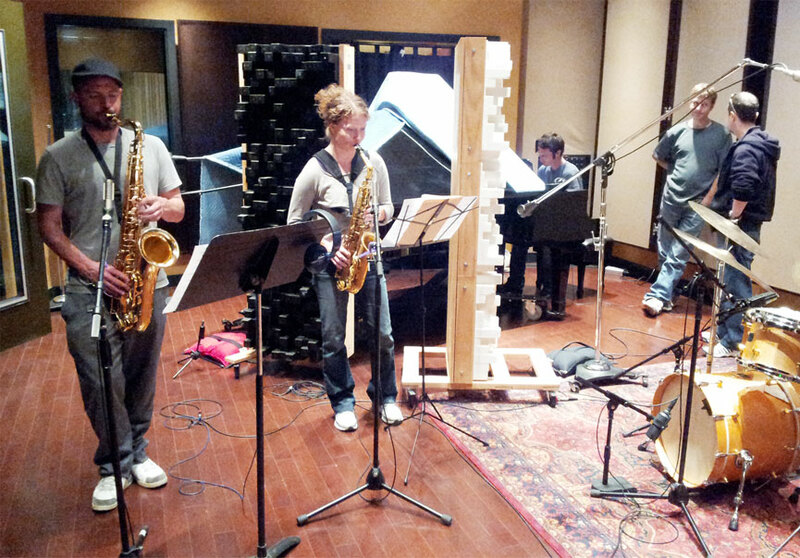 The band includes flautist/tenor saxophonist Evan Francis, alto saxophonist Kasey Knudsen, pianist Adam Shulman, bassist Fred Randolph, and drummer Jon Arkin, all of whom do terrific work throughout. I mentioned visual art: Carey has drawn a pretty excellent comic-book style cover (seen above) for Roads & Codes. It’s sort of a Harvey Pekar-esque look at the struggles of an independent jazz musician to get heard, and he’s given me permission to turn the panels into a gallery, which you can click through after the jump.